I’m sure that most of us in the church knew exactly what he meant, because Ladd was also our best friend. I think that was one of the principal reasons for Ladd’s success as director of the game department. Before his appointment, the department had suffered from differences among its employees, in their feelings, beliefs and loyalties. Ladd had the personality and ability to reduce those differences and create a team that shared its loyalty to the department. Ladd turned this team toward a game management approach that combined new techniques from college-trained biologists with the common-sense, practical field knowledge of older employees. Their knowledge of wildlife had been acquired through years of hands-on, trial-and-error experience. Ladd gave each employee the opportunity to participate in developing new approaches to game management. The list of department accomplishments during his tenure has been well documented. New approaches were recognized as experimental, and were carefully documented to permit evolution, improvement or elimination. Ladd stuck his neck out frequently to encourage the State Game Commission to permit the regulatory implementation of new ideas. He was able to reestablish citizen support for the department after it had become somewhat divided. While he was director, the department enjoyed a honeymoon-like relationship with the State Legislature. Bills benefiting the department passed; others were killed. Ladd was completely without concern for his professional position. He had no need to be jealous of it. He promoted and supported the advancement of all department employees. At the same time, he insisted that no employee be expected to perform beyond his or her capacity. The department grew with Ladd to share, with him, a national and international reputation that continues today. I would suggest this is due in part to the example he set for those who succeeded him. With the beginning of Ladd’s time as director, the department began holding public hearings to discuss bag limits, management procedures and legislative matters. I won’t suggest this process always created unanimous support for the department, but it did contribute to a consensus. Ladd also developed a closer working relationship with the state’s landowners, both private and public, and with the livestock industry. Ladd created a pattern that was tough to follow, but worth the effort. After I was appointed his successor, a representative of the media came for an interview. His first question involved the changes I planned for the department. I told him I had no plan to change anything, but would try to maintain the reputation the department had achieved under Ladd Gordon. Ladd was a good teacher. Ladd was my best friend. Secretary of the Natural Resources Department. 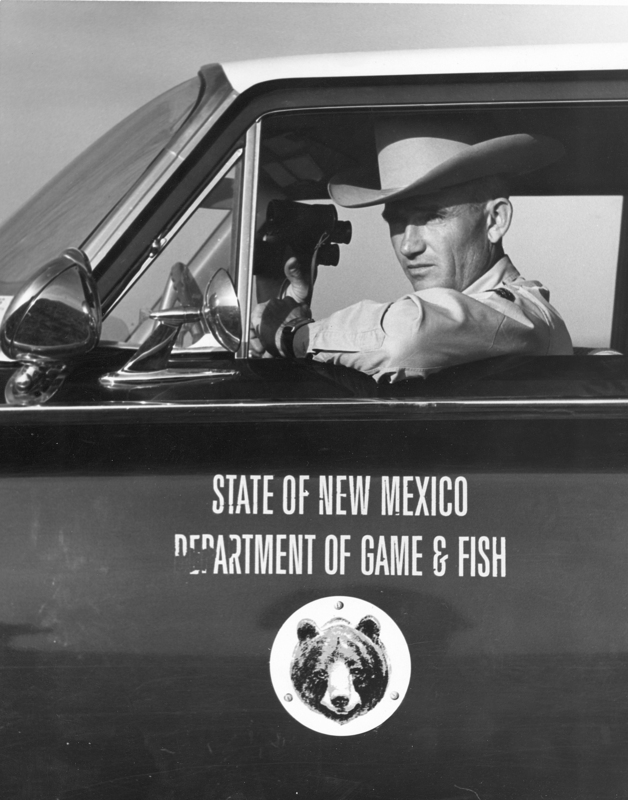 New Mexico lost a champion of wildlife conservation upon the death of Ladd S. Gordon, 66, director of the Department of Game and Fish from 1963 to 1975, who died in Albuquerque Oct. 16, following a lengthy illness. This dedicated wildlife manger was recognized in this state, the nation and the international scene as a true professional, a leader, and one whose primary actions were directed toward the welfare of wildlife. He will be missed but not forgotten by his friends and coworkers. Ladd recognized the need to develop long-range objectives, and this will benefit generations far into the future. His foresight resulted in the state Legislature approving a capital improvement bond program, financed through hunting and fishing license sales, that has been used to purchase habitat, build dams and lakes, and construct fish hatcheries. Since 1964, $4 million of revenue bonds have been sold. When matched with federal funds, this has provided more that $16 million for capital projects. When game department officers Ocie Grey and Austin Roberts perished in a tragic plane crash, Ladd had memorials established for both men. Lake Roberts in the Gila National Forest was a bond fund project. The Ocie Grey Memorial Scholarship, supported by private donations, was established at New Mexico State University. Now the interest allows two scholarships per year for freshman wildlife science students. Bill Montoya was the first recipient (in 1965-66) and is now the department’s director. Ladd was not afraid to face tough issues and battle for what was best for wildlife. Some of his actions were unpopular and risky. The last one resulted in his retirement from the job he had held longer than anyone, except for Elliott Barker (1931-53). Ladd may have lost this battle, but he won the war that left the department and the state’s wildlife in professional hands, away from political interference. He editorialized that the Smokey Bear philosophy of total fire suppression was not correct, that some wildfires are beneficial and improve wildlife habitats. Most foresters and wildlife managers agree that properly controlled fire is an important management tool. He took this stand despite the fact that the real Smokey Bear had been donated by the Department of Game and Fish to the U.S. Forest Service as a symbol for fire protection. Ladd was a skilled negotiator and knew how to resolve sensitive issues without being seen as a politician. 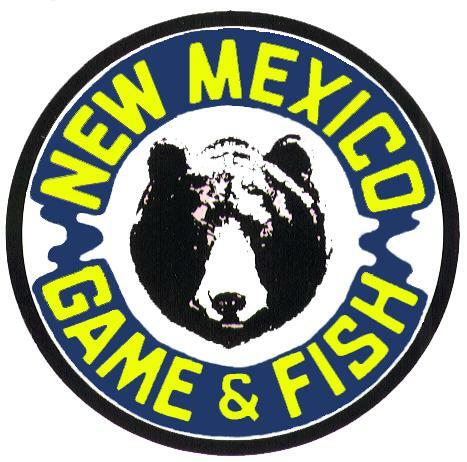 When New Mexico was resisting federal interference in a state’s traditional role as manager of its resident wildlife, Gordon chaired a committee from the International Association of Game, Fish and Conservation Commissioners. It resolved the dispute and established guidelines to avoid future disagreements. He developed a cooperative relationship with wildlife officials in Mexico. New Mexico antelope were traded for Mexican desert bighorn sheep. During Ladd’s guidance, New Mexico was recognized as a national leader in developing new wildlife management programs. Spring turkey hunting was not without controversy in the beginning, but over time it has proven to be a popular and wise use of the resource. Many other western states have followed New Mexico’s lead. The hunting of lesser sandhill cranes and an early bull elk hunt are other success stories. Rocky Mountain and desert bighorn sheep, and elk, were reintroduced into historic habitats. A captive breeding herd of desert bighorn sheep was established at Red Rock Wildlife area. New ways of raising hatchery trout by conserving water and money with vertical, silo raceways were attempted. The exotic big-game program developed from releases of oryx and ibex, which expanded into huntable populations. A veteran of World War ll and the U.S. Navy, Gordon received his B.S. degree in biology from the University of New Mexico in 1949 and went to work immediately for the Department of Game and Fish. He worked his way up through the ranks as a patrolman, bird culturist, big-game research biologist, conservation officer, area supervisor, chief of law enforcement and chief of information and education. After retiring as director in 1975 he was employed by the National Rifle Association until 1978 and by Ducks Unlimited from 1979 to 1988. There he was regional director and MARSH program coordinator, working with 10 Central Flyway state agencies. The Western Association of Fish and Wildlife Agencies made him an honorary member to recognize his leadership. Other professional affiliations included The Wildlife Society, the International Association of Fish and Wildlife Agencies, the Boone and Crockett Club, the N.M. Wildlife Federation, the National Rifle Association (life and endowment member) and the N.M. Shooting Sports Association (life member). A true professional. Ladd S. Gordon left a legacy to follow. He was a leader –– respected, dedicated, concerned, caring and always giving first consideration to the welfare of wildlife species and their habitats. He made tracks all over the Land of Enchantment, and there they will remain forever. If current and future wildlife managers follow those footsteps, the future of the state’s wildlife will be in good hands. where he was Chief of Public Affairs Division for two decades. McFarland Bank, Tucumcari, NM 88491. Great plans were made some years back to improve the Tucumcari Lake area dedicated as the Ladd S. Gordon Wildlife Area in memory of Ladd and his illustrious career as a conservation leader and long-time official and Director of the New Mexico Game and Fish Department. Some of his accomplishments are detailed in the enclosed articles. I recently had occasion to visit the Ladd S. Gordon Wildlife Area. I was shocked and dismayed. It took some trouble to even find the trail leading to a small, weathered and dilapidated sign. Why haven't steps been taken to properly improve the area? It would be even more appropriate to dedicate the La Joya State Game Refuge to Ladd's memory. 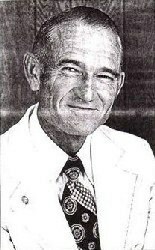 Ladd worked diligently to improve the La Joya operation, even after he retired as Director and represented Ducks Unlimited. I specifically recall his battles with the New Mexico Highway Department and the federal Bureau of Public Roads to insure an exit from I-25 to the La Joya Game Refuge. Incidentally, our parents had operated a farm and ranch east of the river at La Joya for many years after they had been the founding New Mexico Boys Ranch Managers, and Ranch Father and Mother. They had also purchased much of the Boys Ranch land with their own money in the name of the Boys Ranch. 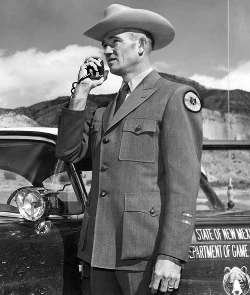 Ladd joked that he was the first boy at the New Mexico Boys Ranch following his discharge from the U.S. Navy in the spring of 1946. I am mentioning these matters to indicate that Ladd's roots ran deep in the La Joya area. I would appreciate your consideration and response.